Catch up on all the latest property listings and be the first to learn about the best deals currently on the market by subscribing to the Balearic Properties Newsletter. See for yourself: Mallorca has properties to match every taste and budget! 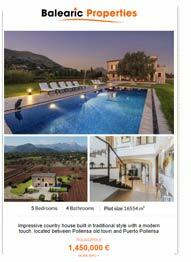 Mallorca properties are en-vogue - see here why! Properties in Palma – The coolest city in the Med.! 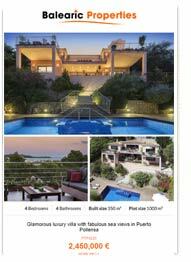 Buy a Mallorca Property – you don’t have to be a Millionaire!